This Friday, 14 May sees the opening of a new exhibition featuring the works of Berlin based artist Christopher Charlie Isoe. 'Silver Spoons and Hotel Rooms' will feature a whole new body body of work comprising of sculptures, photography and installations. From what we have seen, his first UK solo show is looking set to be an exciting exhibition. 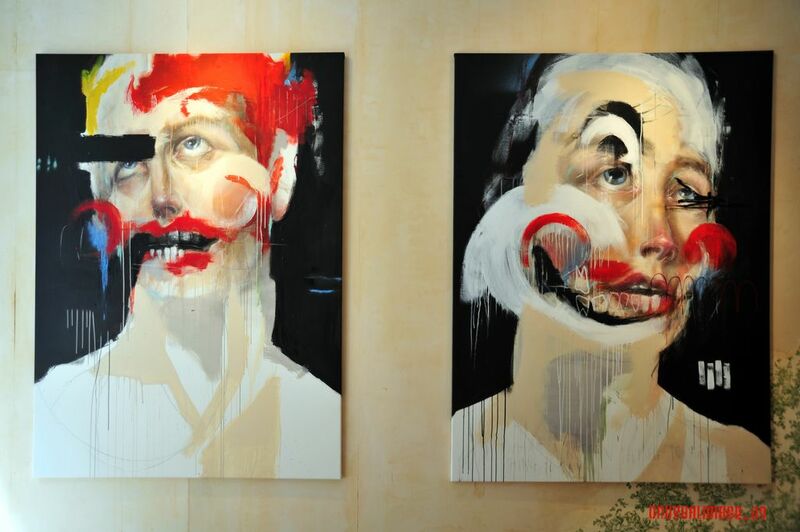 Charlie made his Lazarides debut in May 2009 in thier group show 'Grow Up', pictured below and has been making waves ever since. Isoe’s practice is hugely influenced by his extensive travels where he has experienced and immersed himself in a variety of cultures. 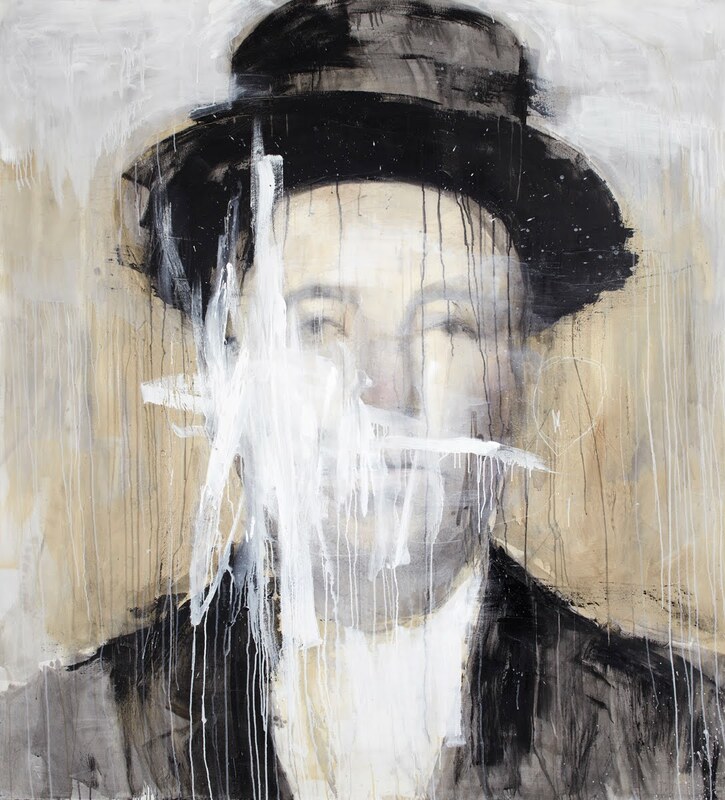 Wanting to highlight the elements of life that we regularly overlook his paintings comment on his social surroundings: the habits of those he comes into contact with, the nightlife he enjoys, the sense of exploitation and addiction ever present in modern life. In his attempts to capture modern society and the human essence, his loose application of paint coupled with fine draftsmanship make for a captivating pictorial plane. The exhibition will run will from 14 May — 25 June. Lister? oh no...a lame biter! Lister rip off anyone? dreadful. Yes, while we agree the work from 2009 does bear some similarities to Listers work. Charlie's new work appears to be moving away from that style/ colour palette, maybe for that very reason. yeah man early stuff is really lister.... they're both australian? maybe its just the painting scene over there? Amazing! Really into this stuff, loving the newer style, kind of feel you need to spend a bit longer looking at these works than the older ones to appreciate them, especially the bigger canvases. ummm, it doesnt really look much like lister to me?? ive never seen isoe paint a superhero.